East Coast Braces for Hurricane Matthew | The Voss Law Firm, P.C. Hurricane Matthew left a death toll of more than 300 as it moved over Haiti before moving on to batter the Bahamas. Now, the deadly storm is on its way to Florida’s Atlantic coast, and residents are being warned to take the storm seriously. According to the New York Times, as of Thursday, October 6, Matthew has been upgraded to a Category 4 storm. This could mean wind speeds of 130 mph or more that are capable of severe destruction. The Category 4 classification is the second-highest for hurricane strength, meaning that Matthew is likely to exceed the strength of Hurricane Katrina—a Category 3 storm—at landfall, even if it does not continue to strengthen. Residents in Florida, Georgia, and the Carolinas have already evacuated or are bracing for the storm, and Florida Governor Rick Scott left no question for hesitant residents in potential danger zones. Tolls in the state were suspended on the Florida Turnpike and other major roadways, and he addressed approximately 1.5 million state residents in a statement, saying, “There are no excuses. You need to leave. Evacuate, evacuate, evacuate.” President Obama has also already declared a federal state of emergency in Florida, which allows for the coordination of relief efforts in areas likely to be affected by Matthew. If you live in an area under warning for Hurricane Matthew, don’t take risks with your life or the lives of your loved ones. Follow instructions to evacuate when they are issued, and tune in to your local emergency channel for ongoing updates on the progression of the storm, relief efforts, and other important information. Residents in the storm’s path are also being warned about the potential for “Sandy-like” storm surges, intense rain, and flooding. The hurricane season that officially started on June 1, 2016, is now being called the most active season since 2012. 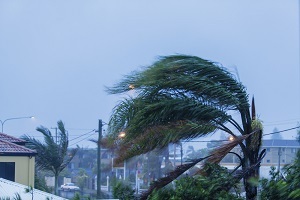 The unofficial hurricane season this year even started nearly five months early with Hurricane Alex, followed by another pre-season storm with Hurricane Bonnie, but the United States has largely been spared from severe storms so far. Although Hurricane Hermine was the first hurricane to make landfall in Florida since Hurricane Wilma in 2005, the storm weakened quickly after making landfall in Florida’s Panhandle over Labor Day. Hurricane Matthew could now be the first major storm to hit the state in 11 years and one of the strongest storms to ever make landfall in the United States. However, the potentially deadly force of major hurricanes has not been forgotten in the 11 years since Wilma. Memories of the grim aftermath of catastrophic U.S. hurricanes remain, and the threatening storms of 2016 have brought further attention to the critical need for timely warning systems and faster relief efforts so that past mistakes are not repeated. The response to deadly storms in the past, like Hurricane Andrew and Hurricane Katrina, has been examined over the last decade in hopes of coming up with better ways to get the word out about potentially damaging storms, save lives, and effectively convince residents in the danger zones to evacuate when appropriate. Officials hope that, with emergency declarations already in place and strong warnings issued to evacuate, the potential tragedy of Hurricane Matthew can be mitigated. Damaging storms leave destruction in their wake, and filing insurance claims is part of the recovery process. If you have questions about a hurricane insurance claim, please reach out to our experienced attorneys at 1-888-614-7730, or subscribe to our newsletter for regular updates, information, and tips—straight to your inbox. The Voss Law Firm is currently monitoring the progression of Hurricane Matthew, and our thoughts are with those battening down on the East Coast. We will release more updates as the news develops.